In some strategies, such as momentum strategies, we need to check our oscillator on a higher timeframe. The Stochastic Oscillator is one of the most widely used oscillators. 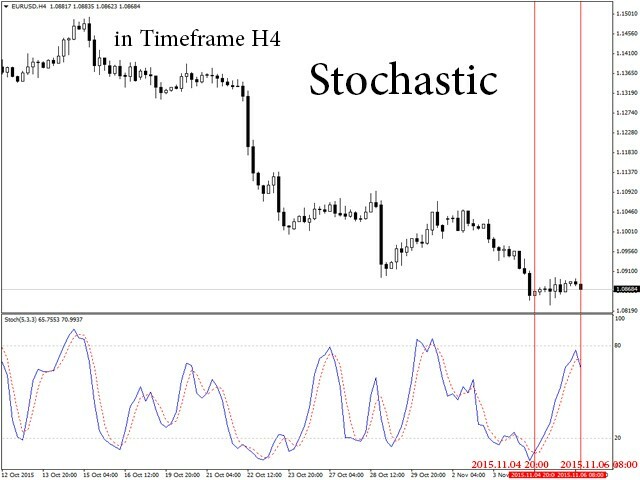 This indicator is the Stochastic oscillator, with the difference that a higher timeframe is displayed on the current one. 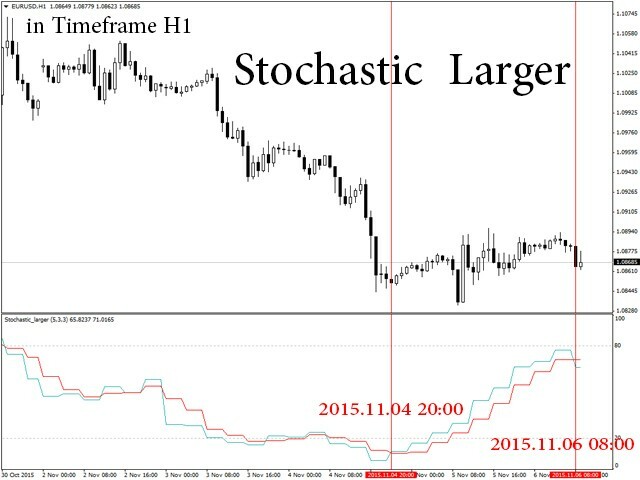 For example, it may display H4 on H1 chart. The advantage of this indicator is that we are raising efficiently. All input data can be changed. This indicator works on all currency pairs, except for MN1. k_period - main indicator line. k is a number used in the equation that calculates a position of a current price from highest and lowest prices k candles ago at a higher timeframe. slowing - number from 1 to 3 used for smoothing k_period. If 1, k_period is the sharpest, and if slowing is 3, k_period is the smoothest. d_period - signal indicator line. d_period is an average of k_period. MA_METHOD - averaging method of d_period from k_period: simple, exponential, smoothed and linear weighted. price_field - used for k_period that contains Low/High and Open/Close.